The Dinner Party is a collective free improvising trio active on the London and European jazz scene for the last few years, comprised of Anglo-Russian pianist Vladimir Miller (Moscow Composers Orchestra), Italian double-bassist Pierpaolo Martino – a founding member of avant-jazz ensembles Mondegreen, Howl and Machine3 – and British saxophonist Adrian Northover known for The Remote Viewers and London Improvisers Orchestra. Unlike many improv ensembles the trio privileges a meditative and even 'melodic' approach to improvisation in which silence, unvoiced sounds and the specific grains of the instruments become of paramount importance. In this sense The Dinner Party's instant compositions are dialogic spaces in which three different voices and cultural backgrounds speak to each other, establishing a fascinating dialogue with the past capable of exceeding the boundaries of music. Virginia Woolf's literary experimentalism, Russian and English folk heritages, Pasolini's poetry and cinema represent some of the most fascinating resources which nourish a sonic space or a conversational "party" constantly rethinking itself. Sorti il y a peu, The Dinner Party est le premier album d'un trio né de la rencontre du contrebassiste italien Pierpaolo Martino, du pianiste russe (vivant en Angleterre) Vladimir Miller et du saxophoniste anglais Adrian Northover, fondateur de l'excellent groupe à géométrie variable The Remote Viewers. Appartenant au domaine de la musique improvisée, les trois musiciens oscillent, tout au long des huit titres de l'album, entre une musique de chambre frôlant, parfois, le chuchotement et de vigoureuses éruptions free. Ne jouant ici que de l'alto (il excelle aussi au soprano), le saxophoniste, tout au centre de la musique, est à la fois l'architecte de chaque titre, le lien entre les musiciens ainsi que son soliste le plus intéressant. 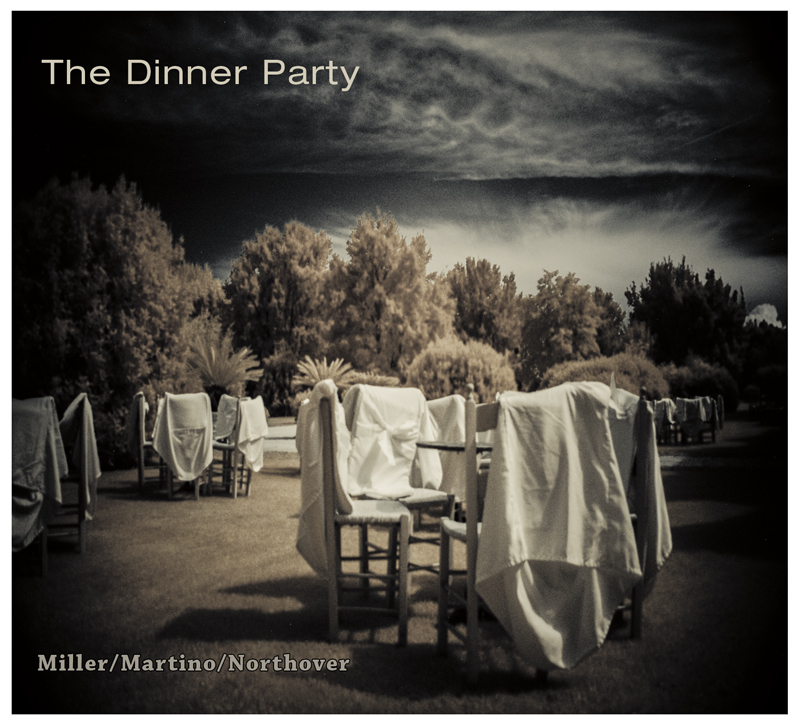 Released recently, The Dinner Party is the first album of a trio born from the meeting of the Italian bassist Pierpaolo Martino, the Russian pianist (living in England) Vladimir Miller and the English saxophonist Adrian Northover, founder of the excellent band Variable geometry The Remote Viewers. Belonging to the field of improvised music, the three musicians oscillate, throughout the eight tracks of the album, between a chamber music grazing, sometimes, the whispering and vigorous free eruptions. Playing here only the alto (he also excels at the soprano), the saxophonist, at the center of the music, is both the architect of each title, the link between the musicians and his most interesting soloist.